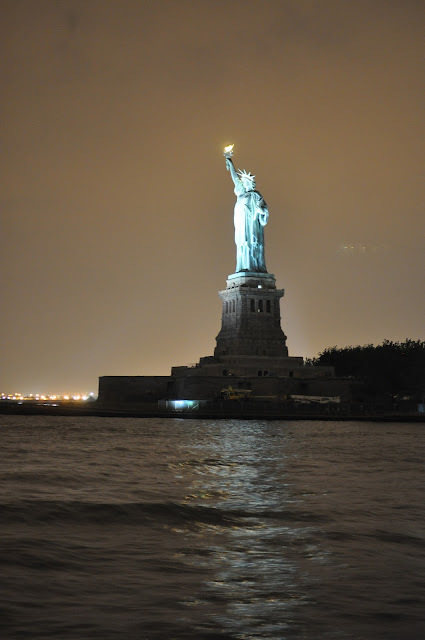 New York à la Keiko: In pictures: My 4th of July Boat Bash on the Hudson!! In pictures: My 4th of July Boat Bash on the Hudson!! For some reason, I wanted to celebrate Independence day properly this year and feel as patriotic as I could be despite being of Taiwanese nationality/citizen and Canadian citizen. Maybe it is just another excuse to do something new and fun! I have lived in New York for almost 2 years and a half now. Last year we were in Montreal for a wedding and the year before that, we ate on Korea street and decided last minute to catch a glimpse of the fireworks hidden behind annoying buildings. This year, we wanted to see the Macy's fireworks on the Hudson but we surely didn't care enough about fireworks to be wait hours, jammed in a crowd, holding our pee, being sticky and sweaty so I thought going on a boat trip would be perfect! It would be like a one time thing since it sure ain't cheap to go on a boat to see the fireworks unless you know somebody that knows somebody that knows some big shot. The little hipsters in us thought a party with unlimited local food and booze and ice-cream didn't sound so bad even with a hefty pricy tag. We waited for a bit before buying the tickets as I searched for something better but didn't find any good boat parties with lower price tags. In fact, many boat parties were offering BBQs and buffets at over $100-200 bucks but they had BBQs, buffets and DJs.They were also bigger boats and we already thought 300 capacity was too many people on a boat. The Brooklyn boat bash left from a pier in Greenpoint which took us less than 25 minutes to get to from our place. Once we got on the boat, we went straight for the food. The party was decent and the view was fabulous. Though there were threats of thunderstorms and hail, the possibility of rain dissipated as the day progressed. There was a flow of booze and food. Cocktails from a local bar 'The Shanty' serving Navy strenght gins (newly learned term which means more than 57% alcohol content) from the NY Distilling company, Brooklyn roasting company served cold brew coffee, coffee ice cream (no affogatos though), hot dogs, freshly cut watermelon, delectable cheese and crackers, cupcakes and more! Brooklyn Brewery served up their Brooklyn Can Triumviates. It seemed like they had an eternal stock as beer cans were handed out from beginning to end. You may wonder why I don't have many clear pictures without back of heads + the fireworks. Well, the truth is, I fainted for a bit probably due to the heat (not pregnant!) right before the fireworks started and took a while to recover. I felt better just in time to see the last 10-15 minutes of the show! I could have fainted any time before or after but I had to faint right before the main highlight of the night. It was most likely due to heat as I felt a lot better when I moved to the back of the boat where it was less crowded and rehydrated. Oh well! The night ended beautifully as we lingered by the Statue of Liberty while gazing at downtown New York while a wonderful lightning show in the distance made this night so unforgettable. We also got drenched..not due to the rain, but you can watch the video and go to the very end to see why! Oh...good times.